You trying to make us feel inadequate or something? i just shake my head every time i see this stuff. I’ve only been to one event, a concert by Midnite Snake under the Bloomfield bridge, where there were so many bikes that there I had trouble finding parking. If Amsterdam has three-level bike parking, I’m guessing you can’t just ride to where you are going and lock your bike a few feet from the front door. Well, a few americans get nice things too. 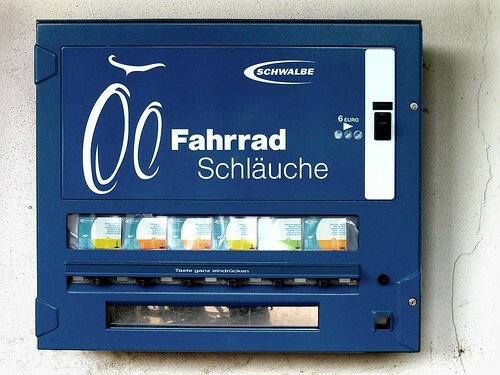 Like this vending machine for tubes and patches and a stand to work on you bike any time. But the europeans get them too. That Trek shop is pretty sweet. There is a Belgian law that is basically written so that bike racers cant get changed in public, and instead can knock on any door and the house residents will let them use their kitchen or bathroom to prepare for racing. It would be like Pitt’s football team needing a temporary locker room. not europe, but here’s a robotic parking system in tokyo. insane! the wash post said they spent $65 mil to build. Whats up with the mits that lady is wearing about 15 secs into the video? they look almost like pogies used for paddling in the cold weather. Ha ha. There are worse things in the world then being stuck behind a bike lane street sweeper. 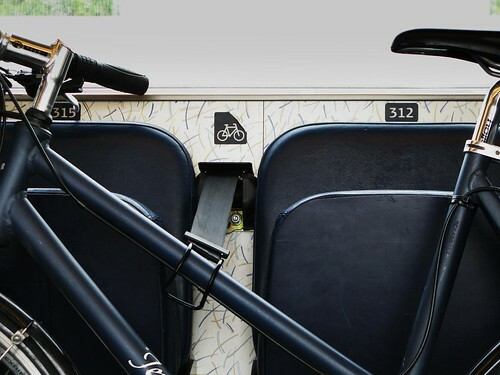 Here’s a site with lots of cool Amsterdam riding photos. 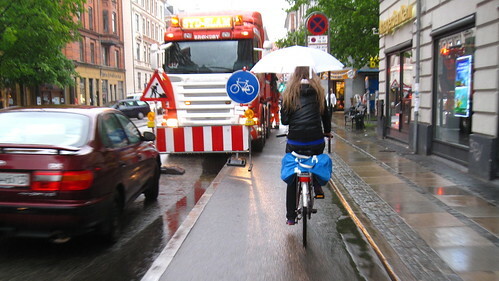 Note: Combinations of No-helmet/cell-phone/ipods/texting or no-helmet/muitple-people while riding through traffic makes me think the A-dammers might have some ways to go as far as safety. The comments at the end are really great. i think helmets are an indicator of how safe a town feels to bike in. the safer the town, the less helmets. That makes sense – except NYC bikers don’t typically wear helmets. If they feel safe, they have lost all contact with reality. 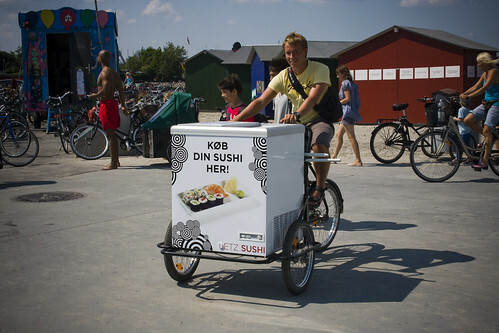 Alternative explanation: NYC is the norm; the rest of the world is an exception. I went to college in a NYState school, and believe me, that IS the mentality of the average New York(City)er. here’s a work crew blocking the car lane and leaving the bike lane clear. there is a guy in pittsburgh that rides with an umbrella attached to his bike. he uses it even on sunny days. he claims that he doesn’t sweat. he also produced a whole 15 page pamphlet/manifesto on the brilliance of using the umbrella in the sun. Transport for London (TfL), the authority responsible for running the capital’s transportation system (including a whole bunch of fancy new hybrid buses), is not averse to doing what it can to make cycling easier – and that apparently includes fashion design. OK, so the designs above aren’t exactly at the cutting edge of cat-walk fashion – but they are also not ridiculous lycra outfits in neon colors. And let’s face it – if the brief was to design practical, comfortable bike clothing for urban commuters, we’d hardly want them to go too cutting edge. 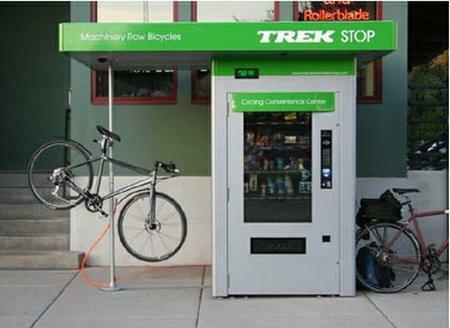 now think about our port authority…we don’t even have a bike rack at t stations in town. I really don’t want anyone’s taxes funding Port Authority fashion. My anarchist hindbrain is screaming. 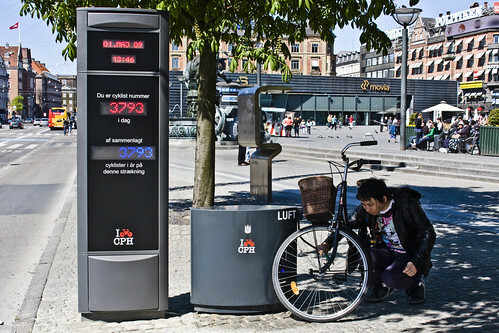 with the bike counter, cyclist # 500,000 gets a free bike. it would be fun to be there around 499,990 to see people racing. they also have bicycle traffic lights in amsterdam! keeping on their own ‘bike paths’ the majority of danes seem to ride pretty damn slow. maybe that’s why they’re so care/helmet free? you get way different bike vibes over there compared to here. in a good way! i want to post my pictures but i don’t know how! hm. you will all think this thread is as funny as i do one day. do they have questions about how to deal with bicycles on the written portions of their driving tests? Thats what I would like to know also Hidden. I feel education is the only thing that will make the roads safer for bikers. If that dosent work there is always violence. [E]ducation is the only thing that will make the roads safer for bikers. If that dosent work there is always violence. I think we have a winner in the sticker design contest! 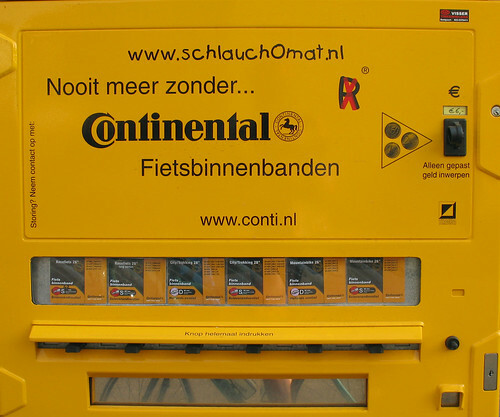 The Dutch do take bike safety seriously. They’ve just taken a different approach. When growing up in Holland, in first grade, we all went through a full week of safe bicycle riding classes. At the end of the week, police officers put together a course where each child was presented with traffic situations for approximately 30 minutes while police officers observed. Depending on how you did, you received your “safe bicycle” certificate. Over the next few years, you received refresher courses. 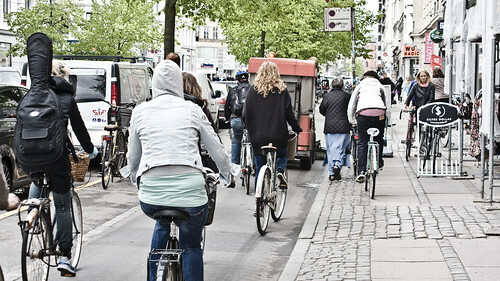 Additionally, when you work on obtaining your drivers license, there is a strong emphasis on driving around bicyclists. First grade. For a week. Repeated refreshers. Specific training during driver ed. What a waste of tax payer money! I still find it amazing that we get tested when we first receive our license and that’s it.